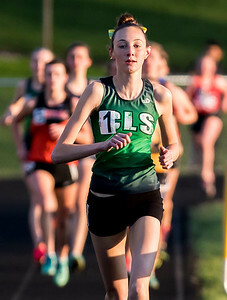 Sarah Nader - snader@shawmedia.com Crystal Lake South's Caitlin Bruzzini competes in the 3200 meter run during Friday's Fox Valley Girls Track & Field Meet in Algonquin May 5, 2017. 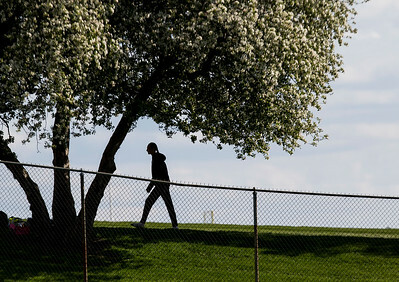 Sarah Nader - snader@shawmedia.com A tree is in full bloom during Friday's Fox Valley Girls Track & Field Meet in Algonquin May 5, 2017. Sarah Nader - snader@shawmedia.com Crystal Lake South's Caitlin Bruzzini leads the pack while competing in the 3200 meter run during Friday's Fox Valley Girls Track & Field Meet in Algonquin May 5, 2017. 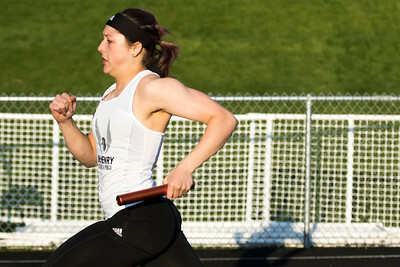 Sarah Nader - snader@shawmedia.com McHenry's Jenna Pauly competes in the 4x100 relay during Friday's Fox Valley Girls Track & Field Meet in Algonquin May 5, 2017. 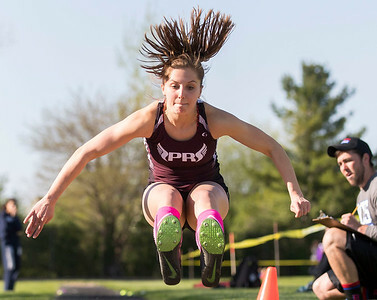 Sarah Nader - snader@shawmedia.com Prairie Ridge's Natasha Schaffer competes in long jump during Friday's Fox Valley Girls Track & Field Meet in Algonquin May 5, 2017. 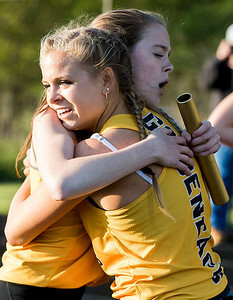 Sarah Nader - snader@shawmedia.com Jacobs' Jenna Skuza (left) and Kathryn Van Vlierbergen hug after they competed in the 4x800 relay during Friday's Fox Valley Girls Track & Field Meet in Algonquin May 5, 2017. 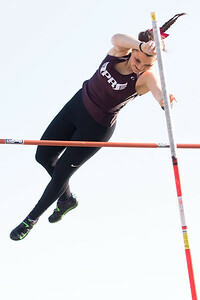 Sarah Nader - snader@shawmedia.com Prairie Ridge's Sam Fisher competes in pole vault during Friday's Fox Valley Girls Track & Field Meet in Algonquin May 5, 2017. 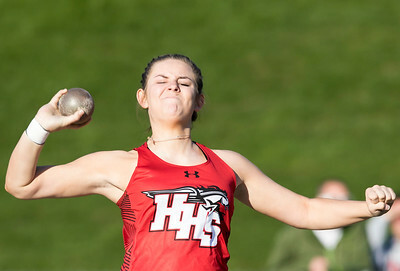 Sarah Nader - snader@shawmedia.com Huntley's Katherine Bessey competes in shot put during Friday's Fox Valley Girls Track & Field Meet in Algonquin May 5, 2017. 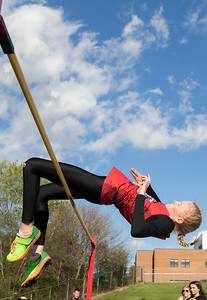 Sarah Nader - snader@shawmedia.com Huntley's McKenzie Krich competes in high jump during Friday's Fox Valley Girls Track & Field Meet in Algonquin May 5, 2017. 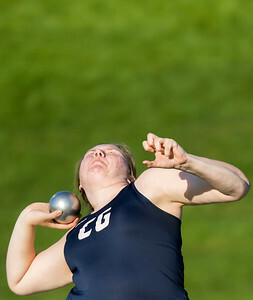 Sarah Nader - snader@shawmedia.com Cary-Grove's Paige Groves competes in shot put during Friday's Fox Valley Girls Track & Field Meet in Algonquin May 5, 2017. 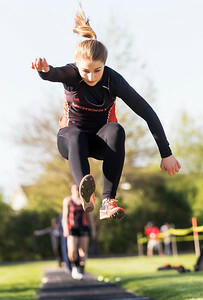 Sarah Nader - snader@shawmedia.com McHenry's Holly Vogt competes in long jump during Friday's Fox Valley Girls Track & Field Meet in Algonquin May 5, 2017. Sarah Nader - snader@shawmedia.com Cary-Grove's Tabor Gleason competes in high jump during Friday's Fox Valley Girls Track & Field Meet in Algonquin May 5, 2017. Sarah Nader - snader@shawmedia.com Crystal Lake South's Cailey Ciezadlo (left) and Cary-Grove's Jenna Magel compete in the 100 meter dash during Friday's Fox Valley Girls Track & Field Meet in Algonquin May 5, 2017. 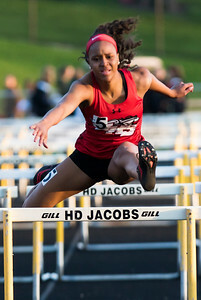 Sarah Nader - snader@shawmedia.com Huntley's Daryn Davis competes in the 100 meter hurdles during Friday's Fox Valley Girls Track & Field Meet in Algonquin May 5, 2017. 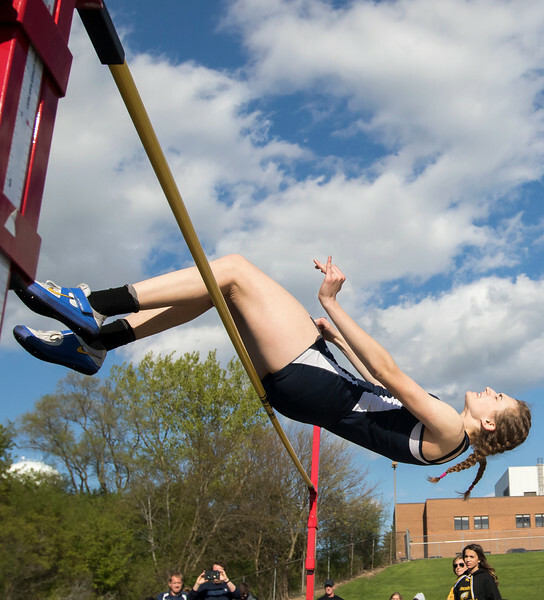 Cary-Grove's Tabor Gleason competes in high jump during Friday's Fox Valley Girls Track & Field Meet in Algonquin May 5, 2017.